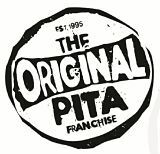 This Pita Pit is the 14th store in the U.S. and has been rolling pitas for happy Missoulians since 2001. This established and successful store is a great opportunity as the downtown area in which it resides is seeing considerable investment. The four story Marriot hotel being constructed next door to this store is one such example. This Pita Pit location is a half mile from the University of Montana campus. Delivery sales to campus and all over Missoula are strong. The summer tourist season is good is Western Montana, and this store does many vending events to capture this business. Most notably, this location is a staple of the downtown Missoula late night scene, and has been voted a great late night eating destination in local surveys over the years. The current owners are transitioning into the next stage of life after 13 years owning and operating, and look forward to watching this business continue with a younger energetic franchisee.